Hello! 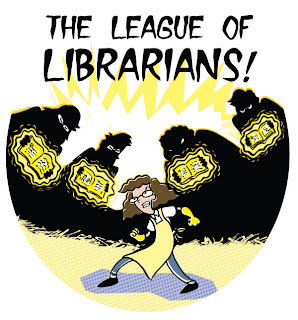 I am Valerie, The Library Goddess, and a proud member of the League of Librarians! I love a challenge. I love reading. I love summertime. How perfect that all of my loves should come together in a summer reading challenge made just for me! 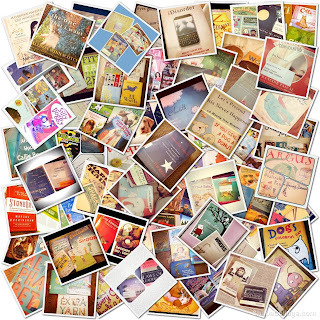 At the end of the 2011-2012 school year, I had already shared with my students (I am the Library Media Specialist at an elementary school serving Kindergarten - 5th grade in Lexington, South Carolina) that I was going to challenge myself to read a book everyday this summer, inspired by Donalyn Miller's #bookaday challenge. When I discovered that I could combine the #bookaday challenge with #summerthrowdown and add some competition to the mix, I was thrilled! So, on June 18, I got down to business! 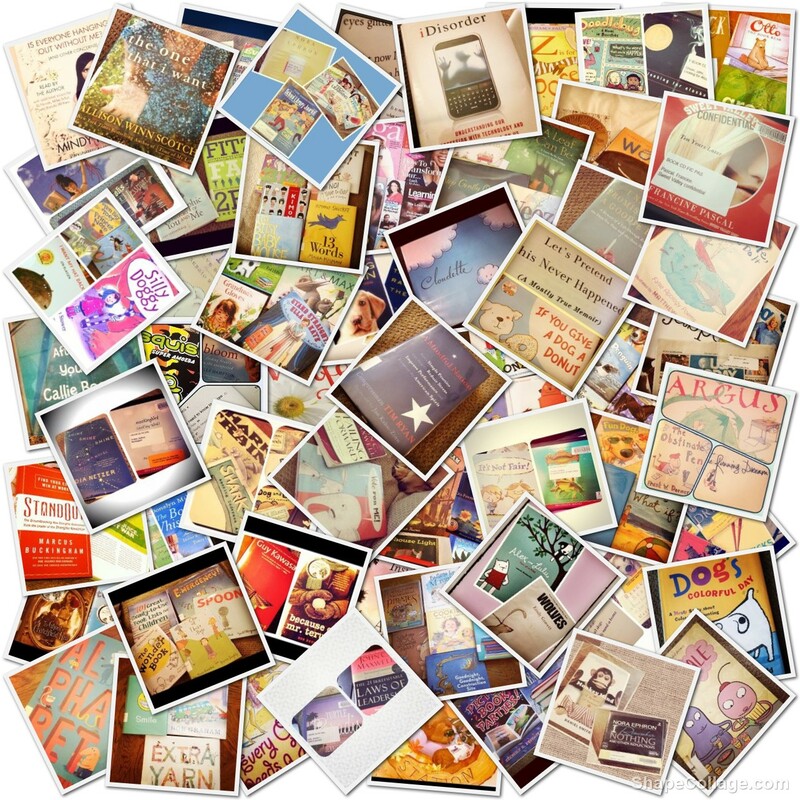 I LOVED participating in #summerthrowdown and #bookaday challenges. As a librarian, OF COURSE, I love to read and I read as much as I can. However, I do not always make sure that I am reading (or finishing) a book A DAY. Participating in a challenge held me accountable. The fact that I told every student at my school that I was doing it sure helped too. After each book, I snapped a photo and posted it to my library'sFacebook page as well as to my personal blog, my Goodreads account, and my Twitter feed(@librarygoddess). I have heard from many parents and teachers at my school (and some of my librarian friends) that they really enjoyed seeing what I was reading throughout the summer. They got ideas of things they wanted to read, conversations were started about some of the books, and it was a great way to show myself as a reader to my school and professional community. Plus, I read many more books (133 total!) than I would have had I not been involved in this challenge - so THANK YOU @brianwyzlic, @heisereads, @thebrainlair and@LibraryFanatic for coming up with this GREAT idea! A great graphic novel for middle schoolers. Raina has many issues with her teeth and her interactions with her friends, parents, and oral professionals are spot on. I never needed braces as a teen, but this book isrelate-able to anyone who is (or who has been) a tween/teen. The print companion to the beautiful film and app. This is a gorgeous book that book lovers must read! What would happon if wo couldn't uso tho lottor E (get it?) Funny picture book where you find out! The upper elementary version of The Art of Racing in the Rain (novel for adults). I normally like to stay away from books about dogs. I LOVE dogs and we all know what typically happens to dogs in books. This book is no different, however, it has the BEST ending. A must read for dog lovers! This novel has gotten lots of buzz, I'm sure you have heard of it by now and hopefully you have read it. A wonderful book for upper elementary and middle. Perfect for a read aloud to start a discussion about bullying or how to treat others who are different from you. Awesome. SO GOOD. This one has also been getting lots of buzz. I have been hearing lots of comparisons to Charlotte's Web and that folks seem to think Ivan will be remembered just as much as Charlotte andWilber. I don't disagree. A fantastic story based on true events. Ivan just passed away (he was living at the Atlanta Zoo). A very funny alphabet picture book about a moose who just does not want to wait his turn. S is for silly! A book beautifully written in prose. 10 year old, HA, and her family flee Vietnam and move to Alabama. The story takes place over the course of a year. Really love this one for our 5th graders who will be learning about Vietnam. An excellent (but sad) teacher/school story. Mr. Terupt is a new 5th grade teacher who really gets to know his students and teaches them that school is fun. Something happens to Mr. Terupt that brings the class even closer together. Excellent book for use in Book Club with upper elementary students. Simple but wonderful picture book. Bear wants his hat back so he asks many different animals if they've seen it, and no one has until the end. This is one of those picture books that is just as funny for the grown ups reading it as it is for the kids who are reading it. And there you have it! My favorite 10 #summerthrowdown reads! Thank you for letting me share! Can't wait until next summer! I love a good mystery and this was a great one! I kept hearing about this book on Twitter and I got lucky and won a copy from Mr. Schu! Once I got my hands on the book, I couldn’t put it down until I finished. The four main characters of this book find themselves involved in a mystery at an airport that is snowed in. I loved how Kate Messner incorporated history and art into this story. Now I’m just waiting for her to finish the sequel! Once again I hear about this book on Twitter. (I think I spent a lot of time on there this summer.) The main character, Georges, is having a hard time in this book. His best friend has become his ex-best friend, he is being bullied at school, he had to move out of his family home, and his mom is always working at the hospital. Georges just wants something good to happen. Well, he meets his upstairs neighbor Safer and his life changes. When I first read this book, I liked it. But the more I thought about this book I realized what an impact it had one me because I was still thinking about it days and weeks after I read it. I will be finding Stead’s other book When You Reach Me very soon at the library. Loved, loved, loved this book!! I think that it is my favorite of the Origami Yoda series. Once again we meet up with the gang form McQuarrie Middle School, except Dwight and Origami Yoda are not there. Everyone wonders what to do without them. After a while Fortune Wookiee makes an appearance and begins to give advice. I have to confess I was late to the Origami Yoda party. What got me to read it was Tom Angleburger’s book Fake Mustache! I’m so glad I read that one because I would have missed such a great series! I place the book on hold at my public library and waited a very long time. But this book was worth the wait. It was another Twitter recommended book. In the past year I have become a big fan of graphic novels. This one is definitely going on my to-order list for this coming year. I loved how the main character was a female. I think that both girls and boys will enjoy the adventure. 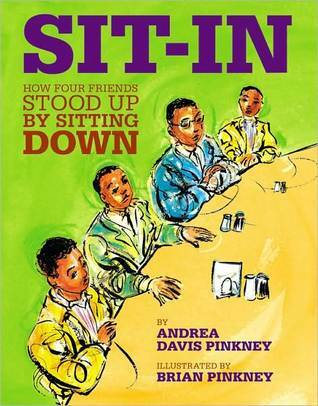 This book was celebrating the 50th anniversary of the Woolworth's lunch counter sit-in. Even though it is presented in a picture book format, I still learned a lot about this historic event. This would be a great book to have in any classroom library. I'm adding a copy to my order this year for my library. I truly loved the illustrations by Brian Pinkney. Wow, what a powerful book. Carley is a frustrated and angry teen that has landed in foster care. Even though, at first, she didn’t know it the Murphys (the foster family) were going to have a huge effect on her life! I had to read this one straight through, because I couldn't stop reading it. I needed quite a few tissues to get through this book especially towards the end. This is one that will stay with me for quite a while. If you have not read this book, run don’t walk to the library and check it out! This book is a great parody of the classic story of Madeline. When I was growing up one of my favorite “series” to read was Madeline. I saw it on the shelf in the bookstore and Nathan Hale’s illustrations caught my eye. As I started reading, I started laughing out loud! Always a great sign that it’s a good book! I’ve had to order two copies of this book, one for my library and one for me! I really had a great time participating in the Summer Thowdown and I read a lot of great books. Hope we do this again! 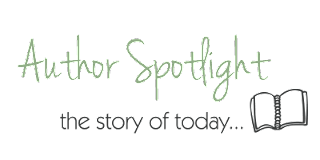 Be sure to check out the other teacher and librarian guest posts at Heise Reads and Recommends, Mrs. Library Fanatic, and Wyz Reads! This was the first time that I participated in the Summer Throwdown, and I have to say that it was super-fun and a real motivator to get reading! My top 10 is made up of a variety of titles, some of which I have yet to blog over at Welcome to MyTweendom. Without further ado, here are my top 10 in no particular order. The Marriage Plot, by Jeffrey Eugenides. An adult title! I KNOW! But each summer I choose a few from my list to try to read. While this book didn’t blow me away like it did for many of my friends, I thought it was solid and a good look into the psyche of the university student. I loved the multiple points of view and I feel like readers could see themselves in at least one of the characters. I was super excited to pick this up at ALA Annual. Smile is one of our highest circing and most often disappearing graphic novel at school, and students are CONSTANTLY asking for more from Raina. Drama is a pitch perfect look at middle school, crushes, family, identity and friendship. It also has the theater geek thing down, and with the success of GLEE, I am sure that this gn will have a wide range of readers in both gender and age. Two of my colleagues had read this before school was out and it was sitting on my shelf but I was just too crazed with the end of school and upcoming ALA. I finally sat down to read this one and just loved it. A family story with the right hint of paranormal, Hicks gets the tension of entering high school with its unwritten rules just right. I got a chance to pick up this arc at ALA and have Adam sign it. He wrote something along the lines of “Hang on, this one’s even worse!”. There is more of what was in the first…lots of blood and vomit in this no holds barred dip into fairy tales. What I love and wonder at with Gidwitz is his ability to weave the stories together seamlessly without having readers see where the ties are. Fun, gross and exciting. If any of you are readers of my blog, you know that I love countrified stories with quirky characters. But I don’t want the characters to be too over the top. Airgood delivers with Prairie Evers. The story of a home-schooled girl who has just moved to NY from NC who raises chickens, tries to make friends, and yearns to do the right thing. Most readers will be able to identify with having an embarrassing parent, and for Fern it’s her dad. She’s in the middle of a big family with her older brother testing his wings and her younger brother glomming onto her and getting all the attention. When a family tragedy rips Fern’s world apart her family must find common ties to get through it together. I didn’t see it coming, and Knowles delivered a punch to the gut, but buoyed the whole thing up with love and hope. Now, one of my favorite books of all time is The Great Gilly Hopkins, and when I read the premise for this one I wasn’t so sure that it would deliver. Mullaly Hunt does not rewrite the Paterson and provides a story of foster care that is sure to have readers reaching for some tissue. Starry River of the Sky, by Grace Lin. This is an exquisitely written book in the same format of Where the Mountain Meets the Moon . Folktales are woven within the story proper. We follow Rendi’s search for the moon as he lives with Master Chao and Peyei. Tension and pacing along with lush language make this book my favorite of the summer. I read this in arc format and simply cannot wait to see the finished copy with the art! This is a fun, fun, fun YA romp through vampire land and fandom. Jane is newly undead and things aren’t exactly turning out like she imagined. Real life vamping is much different than the fanfic that she used to read and write while she was living. Jane heads back to her family and tries to figure out the rules. After getting to meet Jack at ALA, I knew I had to go back and read this one. Scary, honest and raw, this look into Jack’s past is an inspiring example of how much a person can change. Megan's Header from her site. Megan from YA? Why Not? representing the League of Librarians. Let me start with congratulations to Team Teacher, the winner of Round 2. Tie-breaker anyone? I have had so much fun participating in both of the Summer Throwdowns. I do love a challenge. For Round 2 I set a personal goal of 15 books, which I made…barely. Not too shabby. I read some awesome books. Locke & Key vol. 5: Clockworks by Joe Hill. I have recently discovered this series and it is very nicely filling the void left by Fables by Bill Willingham and The Walking Dead by Robert Kirkman. This complex and riveting story follows the Locke family and their return to their father’s childhood home, a creepy old mansion called Lovecraft. Magic, mystery, and horror await them as they explore their new home. Brilliant writing, brilliant illustrations. I highly recommend this one. Broken Harbor by Tana French. This is the fourth book in the Dublin Murder Squad series and quite possibly my favorite. These psychologically intense mysteries are very character driven and I love the vivid Irish settings. Each book in the series works well as a standalone and they do not need to be read in order. 52 Reasons to Hate My Father by Jessica Brody. I will admit that in my head Lexington Larrabee sounded an awful lot like Alicia Silverstone in Clueless. This was a perfect summer read-cute, clever, hilarious, and some kissing. Insurgent by Veronica Roth. Loved it. This one was full of surprises and twists and turns. Um, that ending? Hello, crazy! City of Lost Souls by Cassandra Clare. I am going to honest here. I was kind of annoyed when she decided to turn her totally awesome trilogy into a six book series. That annoyance may have played a part in me feeling just a little “meh” about book 4. Ms. Clare totally redeemed herself in my eyes with this latest installment. I am back on board and eager for more! Wow! I can't believe the summer is over! We had so much fun competing in our First Annual Summer Throwdown! There were so many good books being read, we thought it would be cool to have you share out what books made a difference for you this summer. This week Mrs. Library Fanatic (Sherry @libraryfanatic), Heise Reads and Recommends (Jillian @heisereads) and Wyz Reads (Brian @brianwyzlic) and I (Kathy @thebrainlair) will be hosting 8 teachers and 8 librarians as they list out their top reads this summer! Each of us will have four guest posts throughout the week so make sure you come back! My first librarian, Megan, will have a post up tomorrow! If I had to pick the ONE you should read? I've read so many books I can share with students and staff alike! It makes me almost ready for back to school. Almost. 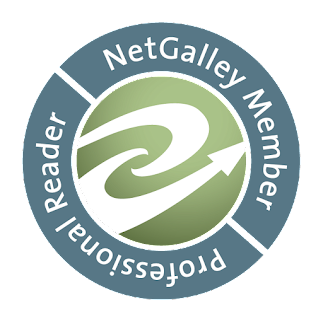 Don't forget to visit the other bloggers for more top book fun! Macy, Sue. Wheels of Change: How Women Rode the Bicycle to Freedom (With a Few Flat Tires Along the Way). National Geographic for Children, Jan 2011. 96p. $18.95. 978-1-426-30761-4. Design: Bold and colorful with lots of sidebars to keep things interesting. Layout: In Wheels of Change each chapter opens with a two-page spread featuring a full-page picture with caption one side and a quote and the beginnings of a some great information on the other side. The chapter title spans both pages, is in white text with random upper/lowercase letters. Some of the letters have colorful openings. The information page also features a bike wheel. Throughout the book there are pull-outs and lots of color. At the end of every chapter there are features like "Cycling Slang" and each has a bright green background filled with white lettering and photos. Writing: Wheels of Change is chock-block full of information. We learn about the history of the bicycle - the design was imported from England by Albert Pope - it's many changes as they tried to make it lighter and safer, as well as how some people were for or against it for health-related reasons. The chapters also cover bicycle racing. Did you know there were a number of bicycling magazines including Bicycling for Ladies? The most fascinating to me was the fight over whether the bicycle was good for women's health and what they should wear if allowed to ride it. I was fascinated with everything in the beginning but, despite it's slight 96 pages, I felt a little bogged down with words by the fourth chapter. The conversational tone is what kept me reading through the author's notes. Wheels of Change could be the basis of a variety of research papers or reports including women's rights, women's dress codes, female sportswriters, mobility, and female racers. I would pair this one with Bootleg by Karen Blumenthal due to it's evolving and controversial nature or it could be paired with Amelia Lost by Candace Fleming for a study on women in history. Recommended. Thomason, Dustin. 12.21. Dial Press (Random House), August 2012. 338p. $27.00. 978-0-385-34140-0. Gabriel Stanton, the go-to guy when it comes to prions, just received a call from Dr. Michaela Thane about a patient she has. She's sure that the patient has FFI, fatal familial insomnia. Gabriel tries to talk sense into Dr. Thane because this disease is so rare as to be impossible that someone would have it. But, the long-lasting full insomnia, the pinprick pupils, and the excessive sweating suggests that this case is real. Which is unfortunate, because FFI is not only fatal, it's highly contagious. 12.21 opens on December 11, 2012. We meet Stanton and Thane and their fatal patient, and soon after, Chel Manu. Manu, is called in to translate for Drs. Thane and Stanton. They need to find out where the patient has come from and all the places he's been in between. And they need this information before he dies. So we have a race against time to find out the origins of Volcy's, the patient's, FFI as well as the impending end of the Mayan Long Count, which could signify the end of the world. 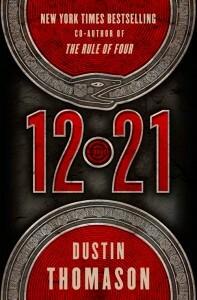 Although not technically action-packed, the story of 12.21 compels you forward. You not only want to know where Volcy is from but how he got sick. As Stanton and Chel, each in their respective fields, try to track down the origins of the disease, we start piecing together all the pieces. Coincidentally, Chel, a leading expert on Mayan antiquities and epigraphy, has what she believes to be a codex from an early Mayan period. She also thinks that Volcy had something to do with this important historical artifact being in her possession. This book is filled with coincidences. The connections between the characters were a little unbelievable but the only way to have the story make any sense. And Thomason's dislike of meat, or at least the way it's processed, was a little over the top and preachy. 12.21 was just okay for me. Not good and not bad. It was like reading a version of the movie Contagion. The Mayan connection was very tenuous. It felt more like a sub-plot than the drive behind the novel. That being said, I already know someone that will enjoy this and will be happily passing it along. 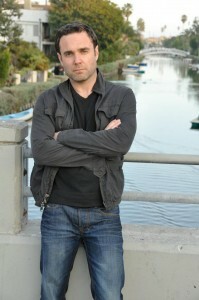 Dustin Thomason attended Harvard University, where he studied anthropology and medicine. He won the Hoopes Prize for undergraduate writing, and graduated in 1998. Thomason also received his M.D. and MBA from Columbia University in 2003.